The Yukata Party, a photo by bloompy on Flickr. 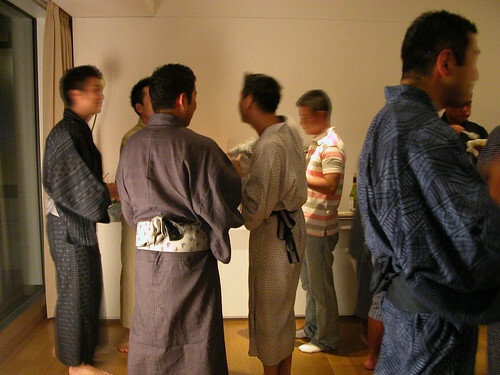 Last night I attended my first Yukata Party. It was quite exciting a soirée with about 80 men attending. The event, hosted by my friends at their residence at the posh Roppongi Hills, started around 7pm on Saturday evening, and the last guest left at around 4 in the morning on Sunday.